It didn't feel right to leave anything out, so Merces was also made to work on iPad. Like Merces on iPhone, the app can be used in any orientation. But because all models of iPad are large enough to maintain readability, there's no need for the modified view that iPhone uses. Instead, the portrait and landscape modes only differ in the length of the content. 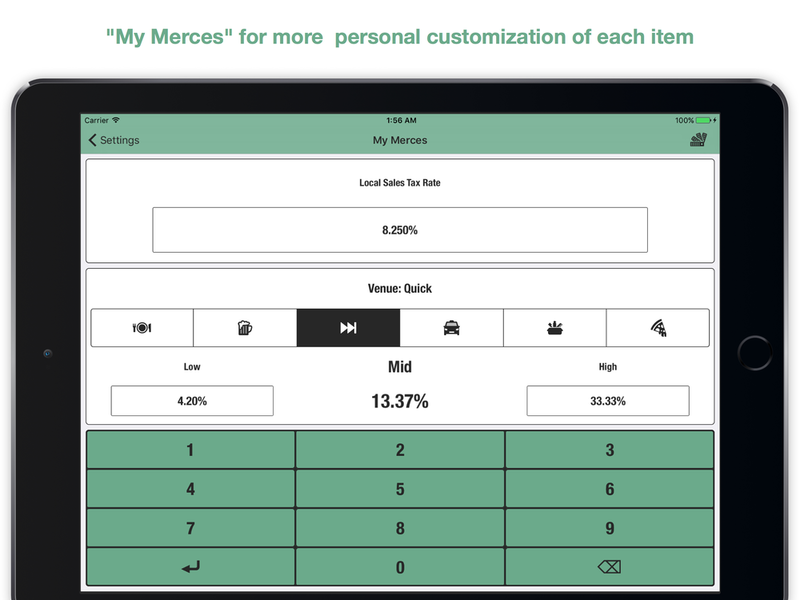 This all means that using Merces on iPad is just as seamless an experience as it is on iPhone. 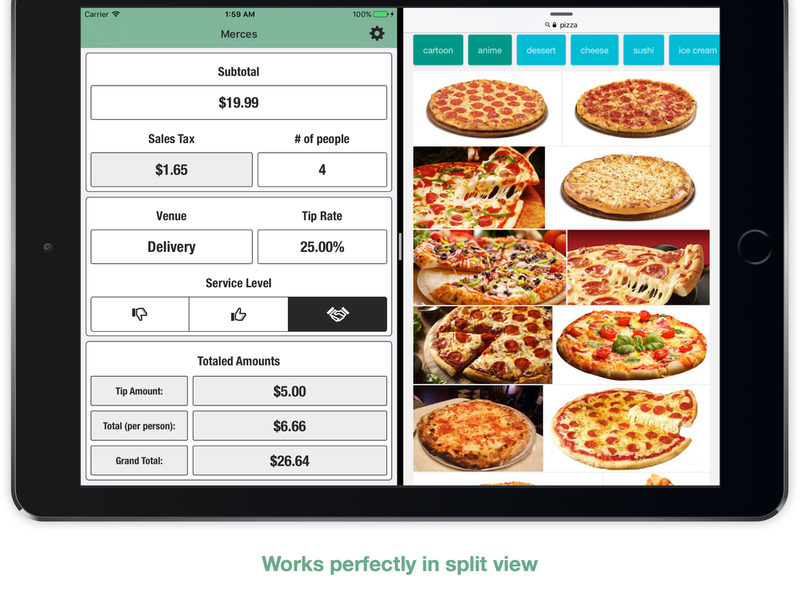 Ready for the last tip calculator you'll ever need?